FA4832_2_3220002 Basketweave Woven Dress Leather Belt. Tapered from 1-1/8" - 1" wide Genuine Leather. 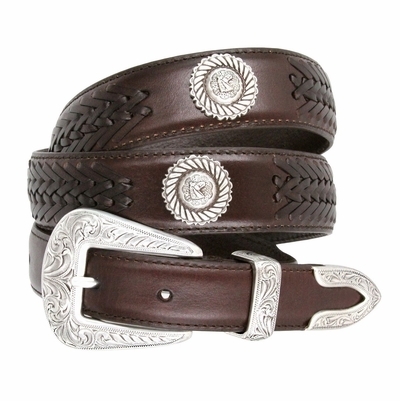 Antique Silver Plated Floral Design Buckle Set and Horse Head Roped Conchos.